An unfortunate reality of pest control is the need to trap and remove nuisance wildlife. Often there is a delicate balance between satisfying the needs of the customer and also protecting the environment and supporting animal welfare. We have found that bats in particular are often misunderstood. We believe that if people understood how bats actually behave and what their impact really is, they might look at their pest situation in a whole new light. Bat Fact: In some situations bats can be beneficial. Since bats feed entirely on insects there are studies showing that bats can reduce the population of mosquitoes and other flying pests. 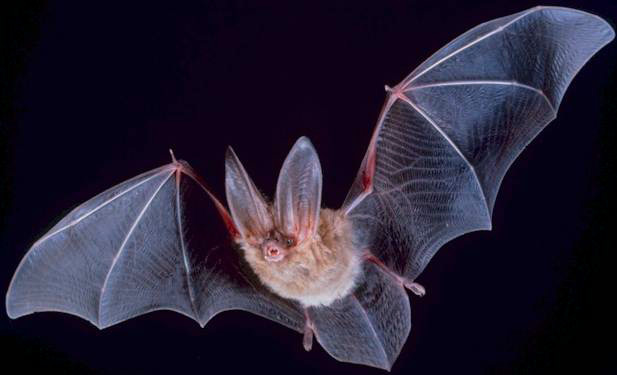 A single bat can consume around 1,000 mosquitoes or other flying critters in a single hour! It is not uncommon for one bat to consume between 6,000 and 8,000 insects per night. Did You Know: Bats are beginning to be used in agriculture as a natural alternative to pesticides. The concept is simple: the farmer simply creates and maintains a “bat cave” habitat on the premises. In exchange for “room and board” the bats go to work patrolling the fields and plucking out of the air any insect that might potentially threaten the farmer’s crops. This harmonious partnership between farmer and bat is one scenario where the bats are far from pests. Bat Fact: While it is true that bats are among the many species of mammal that can become infected with rabies, within the United States they rarely pass this disease on to humans. Although caution and good judgment should always be used, being in the presence of bats under normal circumstances does not mean imminent danger. For one thing, it is not possible for bats to carry rabies without becoming sick themselves. This means that any affected bats are sure to die off and cannot harbor rabies over the course of their natural lifespan. The disease changes the behavior of the bat as it becomes sick, so if a bat is acting abnormally such as flying erratically, being out during the daytime, or lying incapacitated by the roadside this should be seen as a red flag. Many cases of rabies transmission between humans and bats involve a sick bat being picked up off the ground and handled without gloves. Based on statistics it is extremely unlikely to contract rabies from a bat. Although many people are afraid of bats and use rabies to justify this, the statistical facts tell a different story. According to the U.S. Goverment Department of Natural Resources, more people are killed by lightning strikes and dog attacks than rabid bats. 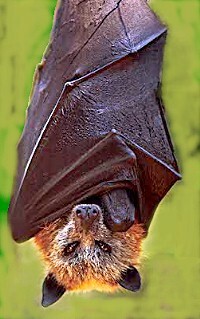 In the past 50 years there have been only 40 documented deaths in the US from rabies transmitted by bats. Other mammals such as raccoon, foxes, and skunks all generally have higher rates of rabies prevalence than bats although they do not usually inspire as much fear. Did You Know: Rabies is a disease that affects the nervous system of it’s victims and can be passed through a variety of bodily fluids. After infection there is an incubation period during which it is possible to cure the disease, but by the time symptoms develop it is almost always fatal. Among people that handle bats closely through their work or hobbies (such as caving) extra precautions are taken. Seek immediate medical attention if a bat dropping enters the eye or an open wound, there is a scratch, bite, or any exchange of fluids of any kind between a bat and human even if the bat appears healthy. Fact: At Arrow Exterminating we strive to safely remove and relocate any bats that are considered pests. We are animal lovers ourselves and never kill or mistreat bats during the course of the job. Bats may be considered a pest if they roost inside a residence or another unwelcome location. Their droppings will begin to accumulate in and around the nesting site, which can give off a musky odor. This is not only unsanitary, but also potentially unsafe. Bat droppings could contain a fungus that is harmful to inhale, especially in unventilated areas. Bats can also be noisy, and their high pitch squealing is especially irritating to dogs because they are more sensitive to sounds in that range. Did You Know: Since all bat species in North America feed exclusively on insects, bat droppings (also known as guano) have a powdery, ashy texture because their made up of any bits of insect that bat’s can’t digest. This entry was posted in Uncategorized and tagged Arrow Exterminating, bat, bats, entomology, environmentalism, exterminating, myth vs fact, Pest control, rodent control, vampire bat on September 18, 2014 by ArrowBugBlog.